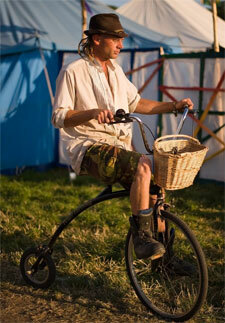 Well that’s interesting … sure seen old timey, replica Penny Farthings at fairs and festivals, but not a modern, low one. Would cause much less head trauma when you endoed. There’s a related BBC story from 2004 and they’re available from HawkCycles in the UK.